This seems like a misguided use of a number. UPS is trading at 300x earnings, because of a special charge right now. 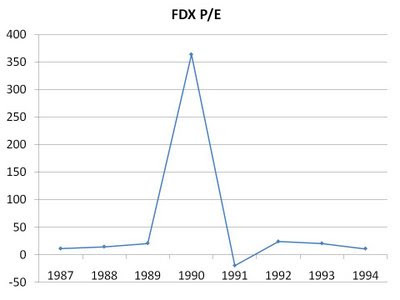 I doubt FDX wasn't in a similar position in the 90s. I believe that's exactly the point of the article.